The Thornbury branch line was used during the two World Wars. During the First World War the line was used to carry fodder for the horses. 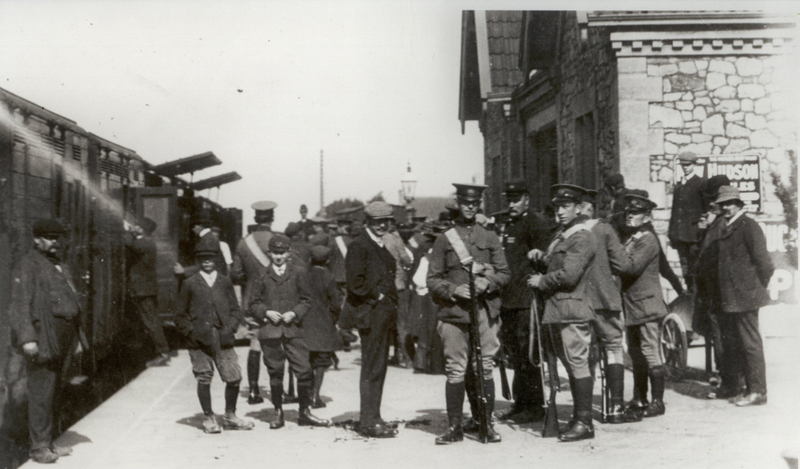 We have two photos here that appear to show that the station was also used for troops in the First World War. Click on the photographs to see larger images. 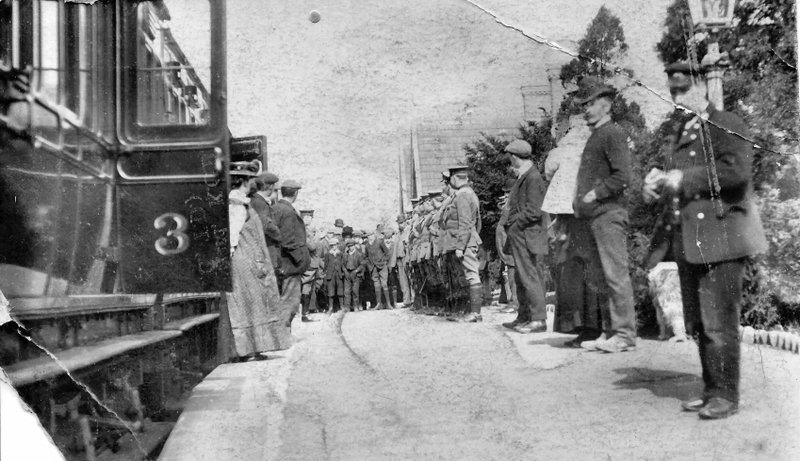 In the Second World War soldiers were brought to Thornbury station straight from Dunkirk. Later, wounded American soldiers were brought from the D Day landings on this line to the American hospital in Tortworth, partly because it was not busy and there would be fewer delays. The heavy guns of the Ack Ack used by the 52nd and 54th regiments were also loaded onto the train at Thornbury for the Dunkirk landing.